© 2017 CCP hf. All rights reserved. 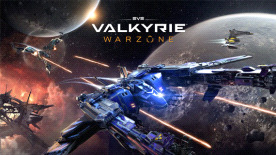 EVE: Valkyrie – Warzone™ and CCP® and all related logos and other elements are trademarks of CCP hf.